As 75 restaurants and four chef’s battled against hunger in this week’s Capital Food Fight, the DC Central Kitchen came out the winner. More than 1,500 attendees supported the fundraising event. DC Central Kitchen is America’s leader in reducing hunger with recycled food, training unemployed adults for culinary careers, serving healthy school meals, and rebuilding urban food systems through social enterprise. Guests sampled tasty bites from 75 local restaurants, who cooked to impress. 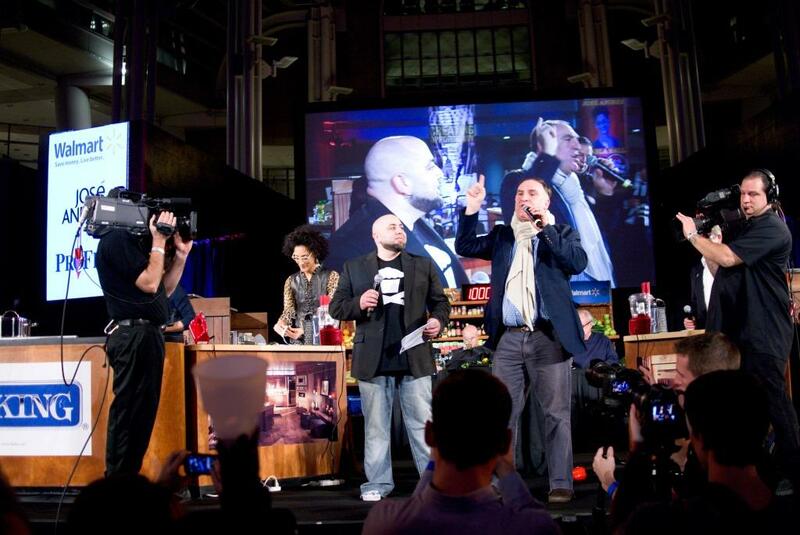 The stage lit up for battles between local chefs including Erik Bruner-Yang of Toki Underground and Maketto; Bertrand Chemel of 2941 Restaurant; Anthony Lombardo of 1789, and Spike Gjerde. 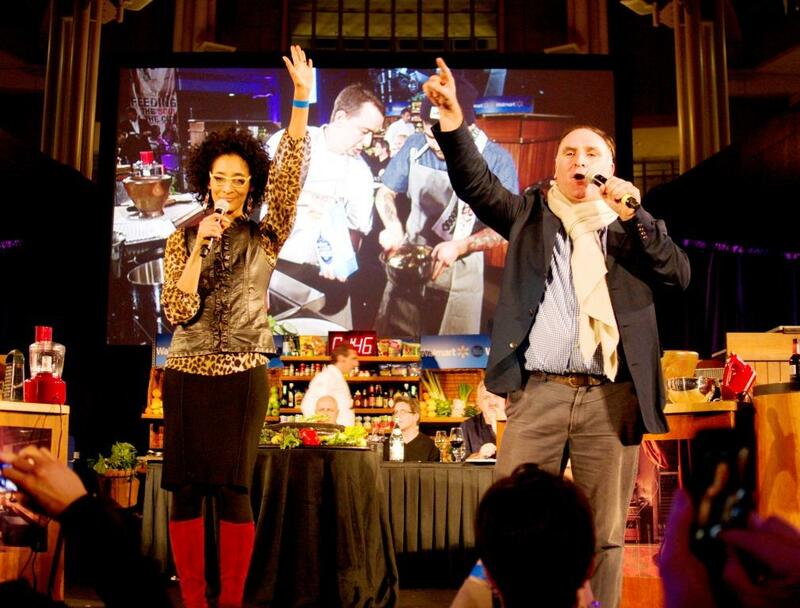 Co-hosts José Andrés and Carla Hall bantered throughout the battles, keeping the audience amused. 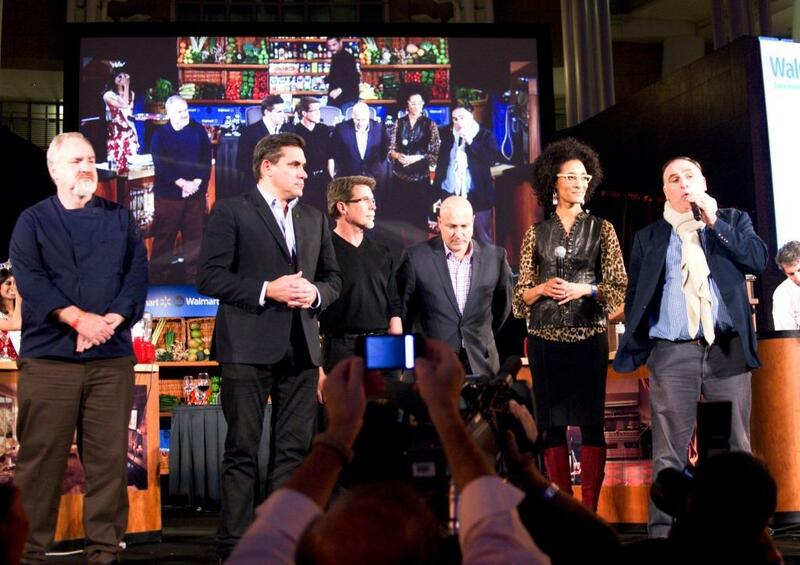 The chefs faced a judges panel of savvy celebrity chefs including Tom Colicchio, Todd English, Rick Bayless, and Art Smith. The event also featured a High Stakes Cakes competition. Padua Player, Executive Pastry Chef and owner of Suga Chef Desserts, was the winner. The best news of the night? $600,000 was raised for DC Central Kitchen! For more than 20 years, DC Central Kitchen has pioneered a new model of using food as a tool to change lives. We provide nutritious meals to our neighbors in need, equip unemployed men andwomen to begin culinary careers, and engineer successful social enterprises that advance ourmission while creating good jobs for the people we serve. Through job training, healthy food distribution, and local small business partnerships, DC Central Kitchen offers path-breaking solutions to poverty, hunger, and poor health.